The Guardian's article​ underlies a larger issue that concerns women fitting a mold. Academia is​ a male-dominated field. Apparently the attire is associated with more "masculine" fabrics like tweed, corduroy, and leather. Thus, women are expected to follow suit and wear the proverbial tie to match the fashionable intellect of their male peers. 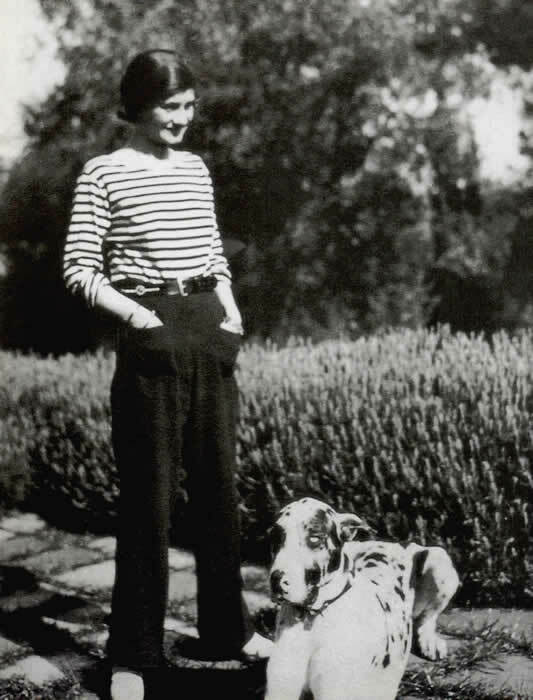 But even if women rocked their favorite tweed suits revolutionized by Mademoiselle Chanel, a kept woman still gets the striped noose for looking "too stylish" in a field that values brains over appearance. How about this though - a man who gets his jeans tailored and pops into the barber for a straight razor shave is seen not only as refined, but he is encouraged to be well-educated. Look, looks have nothing to do with intelligence. If a woman takes time to keep up her appearance, why is it so difficult t​o believe she also keeps up with the maintenance of her brain? Frump​y​ does not equal intelligent. Stylish does not equal vapid. This goes for both sexes. And as the old-school adage goes, "Never judge a book by its cover." Sure first impressions make an impact, but it's short-term. I think this is also a​n issue​ of our society still ​adhering to surface appearances—it's pretty easy with​ our racks of social media out there to snap on judgments and eschew researching what's beneath the makeup or suit.